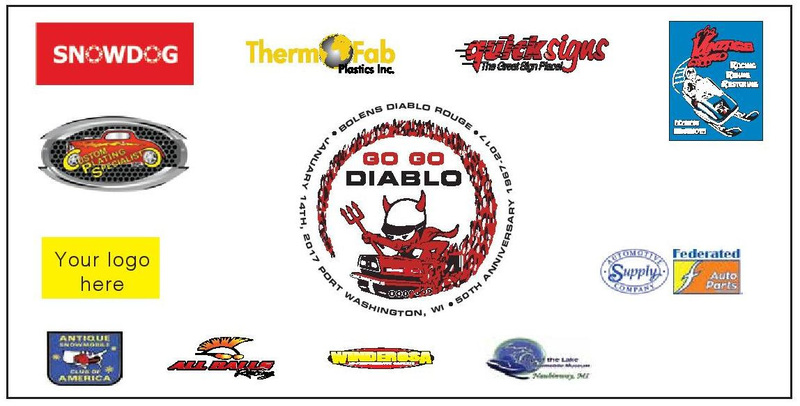 A short follow-up email about the upcoming Bolens Diablo Rouge 50th Anniversary Celebration on January 14th, 2017 in Port Washington, Wisconsin.We are experiencing phenomenal support for the event. Many sponsors are stepping up with financial support, prizes for the banquet and also advertising the event. Don’t be surprised when you pick up your Antique Snowmobile Magazine or even your local state magazine and find an article about the upcoming event. This is turning in to something fantastic! Making hotel reservations early will get you a room at the beautiful Country Inn and Suites in Port Washington at significantly reduced rates. The banquet will be in the Lakeview Conference Center which is at the hotel. When making reservations by calling 1-262-284-2100, request your room be part of the Bolens Diablo Rouge 50th Anniversary block. There are a limited number of rooms available. You still have a few days left this month to get your most possible number of prize tickets. Reserve your room or send me an email telling me you plan to come to the banquet and you will get 10 prize tickets in your name for the many door prizes being given out at the banquet. Hope to see many of you in Port this January!